Folks, Christmas is right around the corner. 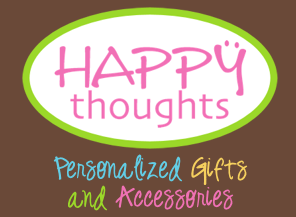 Happy Thoughts is a terrific place to find the perfect personalized gift for who ever is on your list! 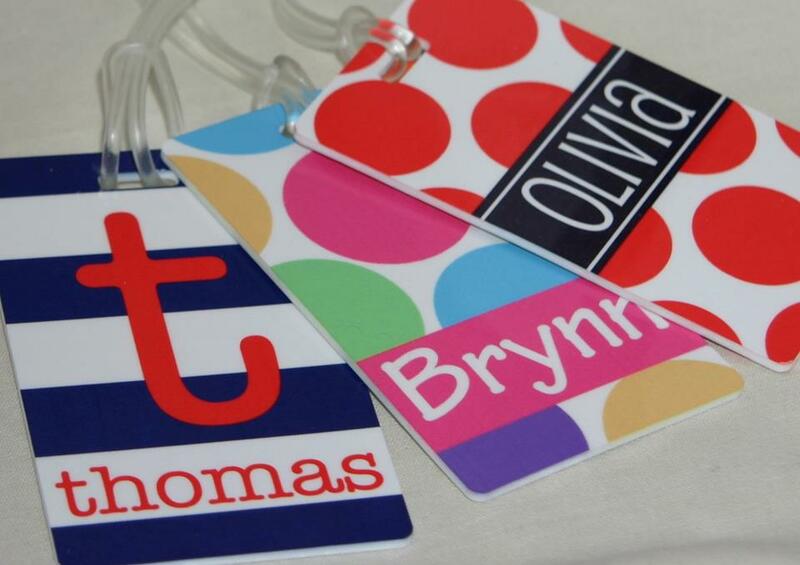 There are so many things to choose from, you are sure to find something for everyone! 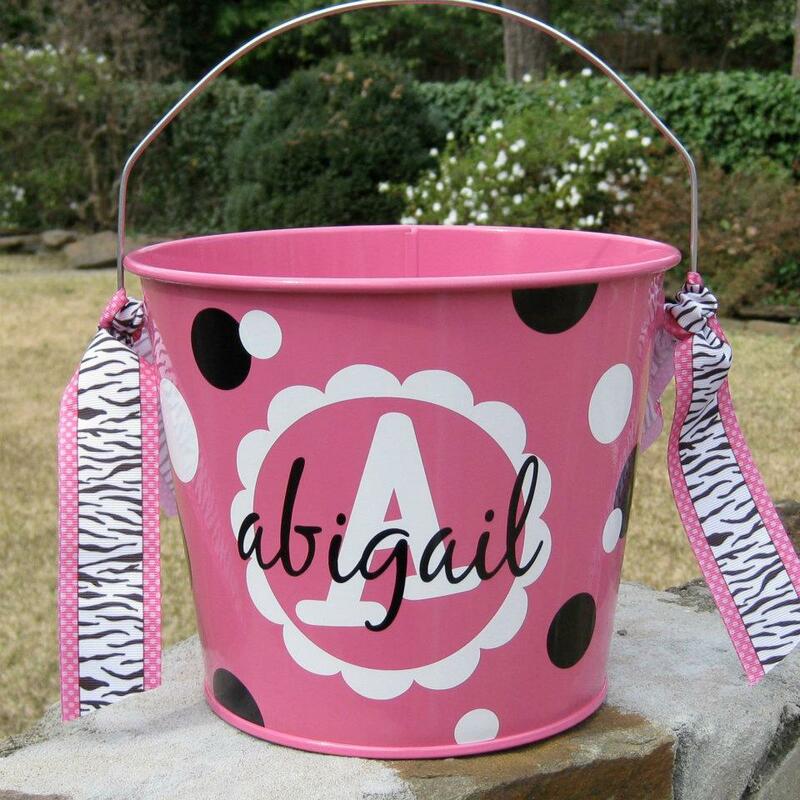 Happy Thoughts Gifts sent Libby a personalized toy bucket and a matching tag! 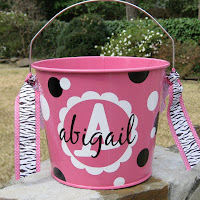 I can't tell you how adorable the bucket is! 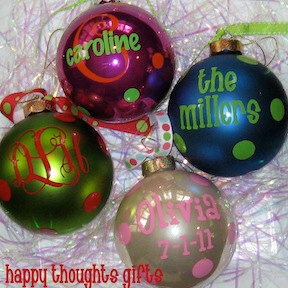 Win a 4" Personalized Ornament! 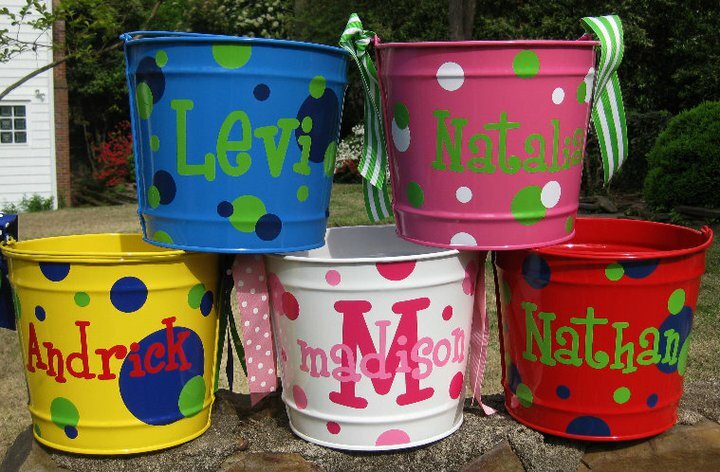 I love the personalized red flower bucket! 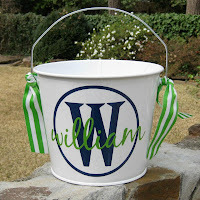 I love the buckets, I would use it to store my son's arts and crafts supplies. 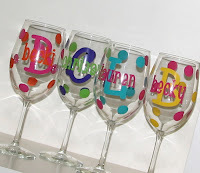 Love the utensil holder in red. It matches my kitche. I like the Personalized Clipboard Cases for my kids. I like the iphone case. 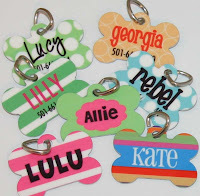 love the personalized pet tags! 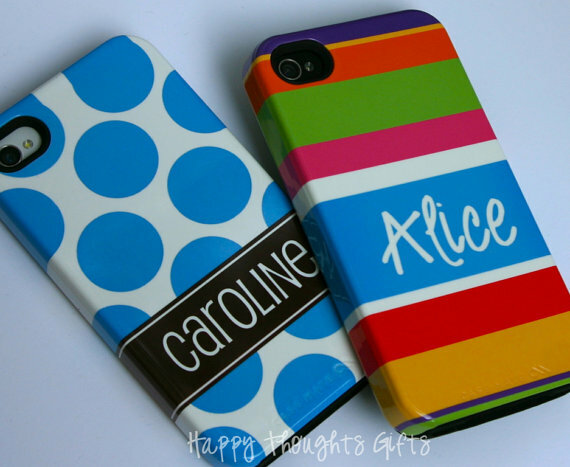 I love the iPhone case in Beachy Stripes! I love the Personalized 20 oz. 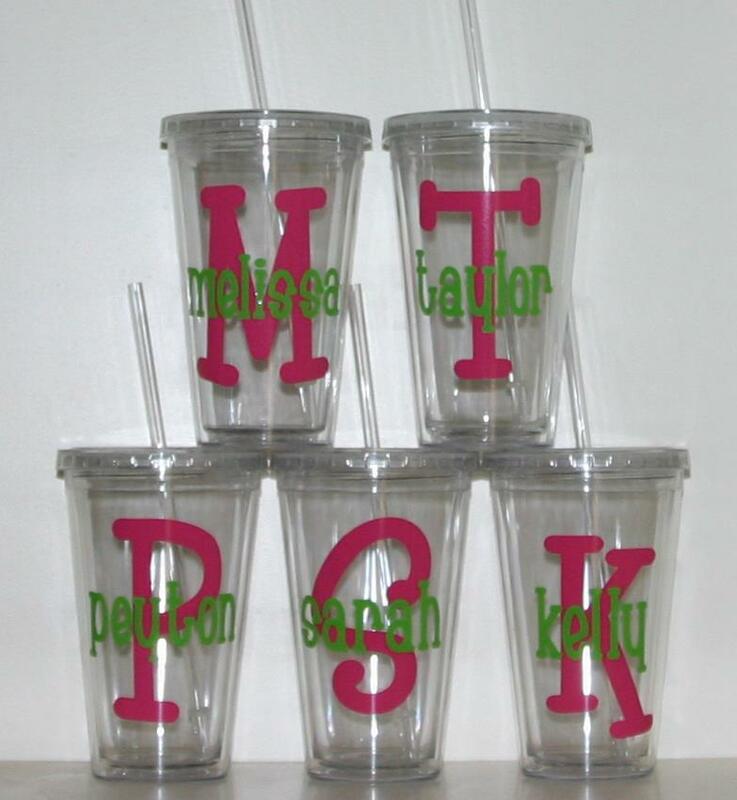 Insulated Acrylic Tumbler. 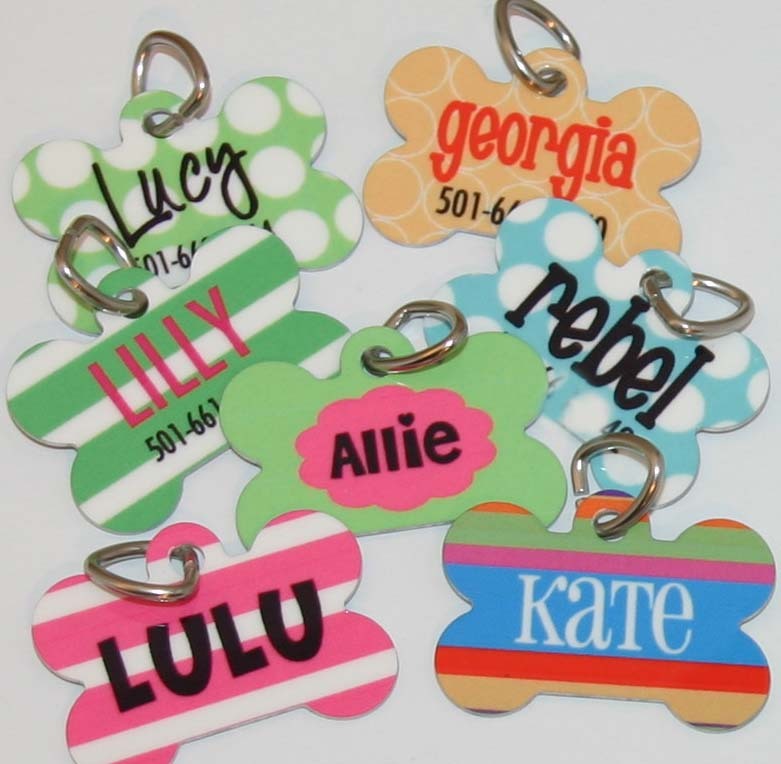 The personalized dog tags are my favorite--we have 5 dogs and 5 cats, all rescued. I like the iPhone case! 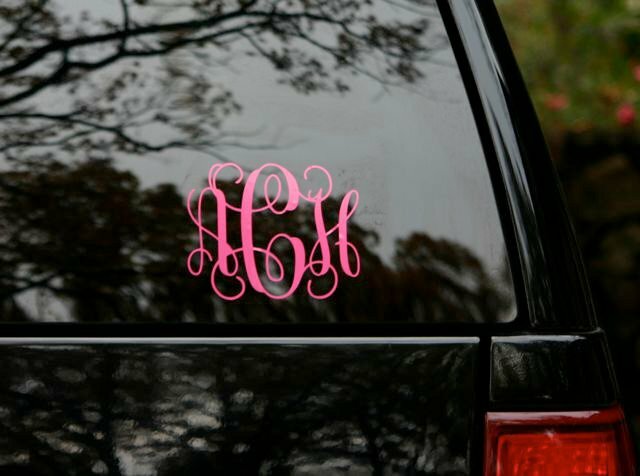 I like the laptop decal. 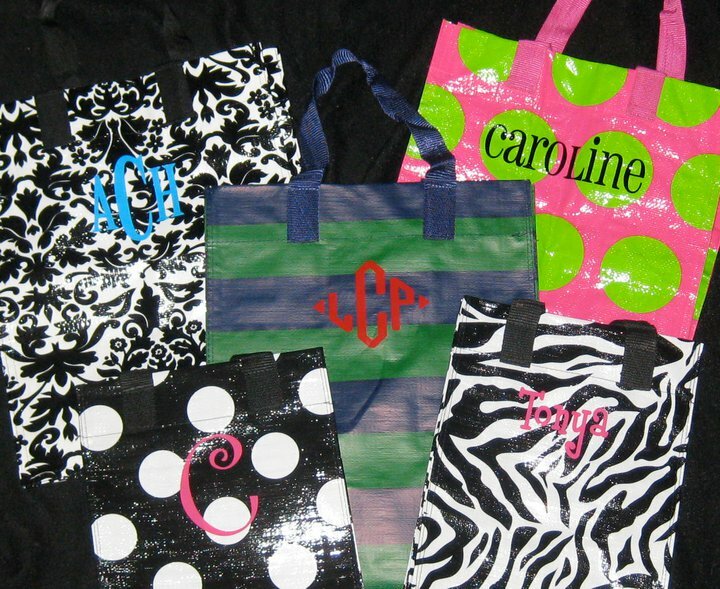 Red Croc Personalized Bag is my fav. 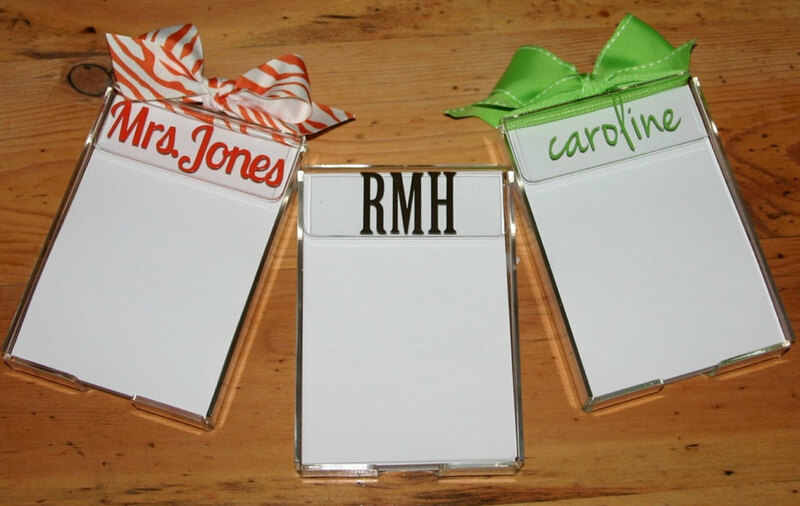 I love the personalized dry erase message board! Can't choose between the dog tags and the buckets! 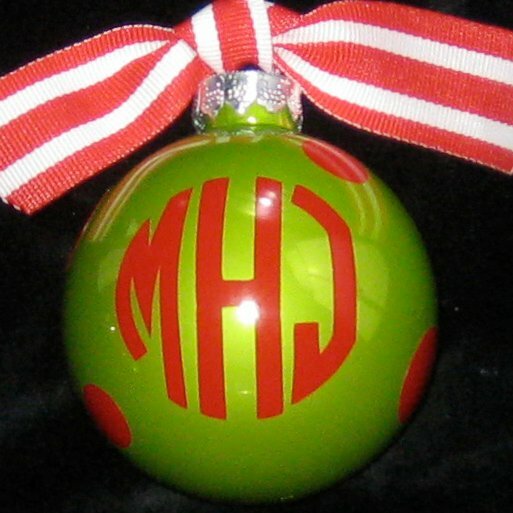 I love the Santa Cookie Plate Personalized! 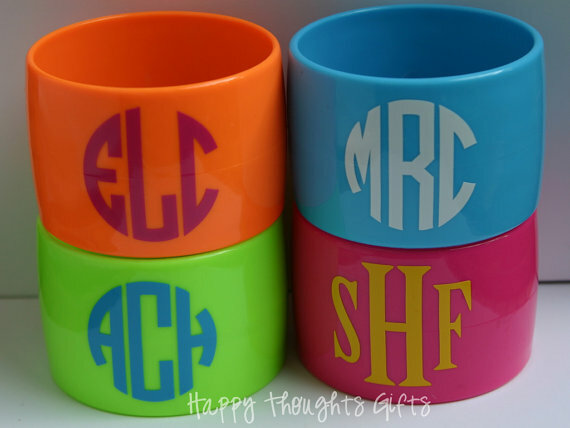 I love the personalized coffee tumblers! 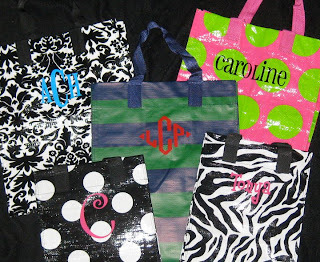 I like the Personalized Leopard Zip Tote - Large. Thanks. 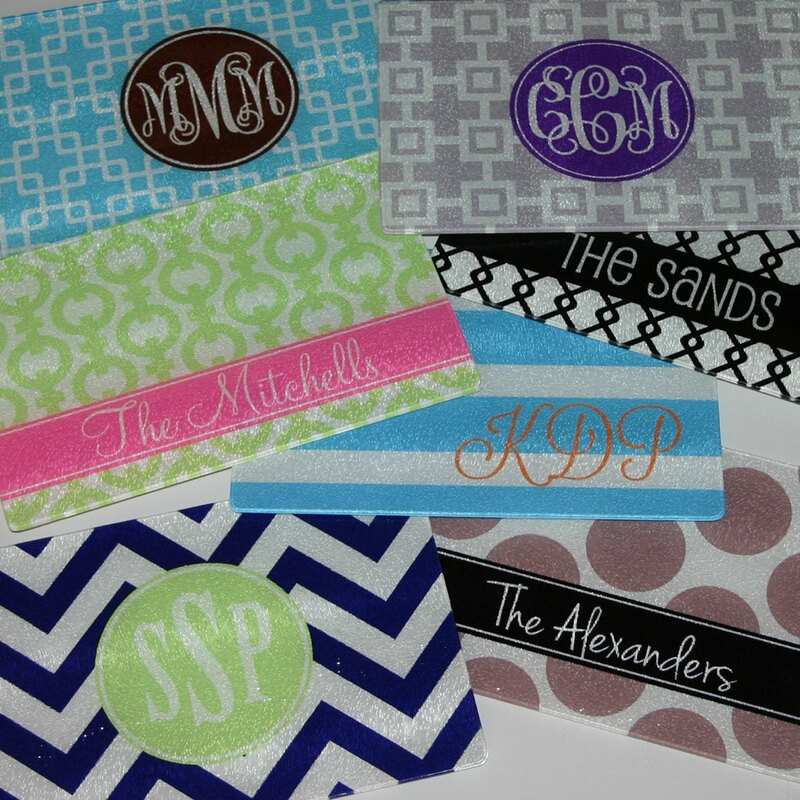 My favorite is the Personalized 16 oz. 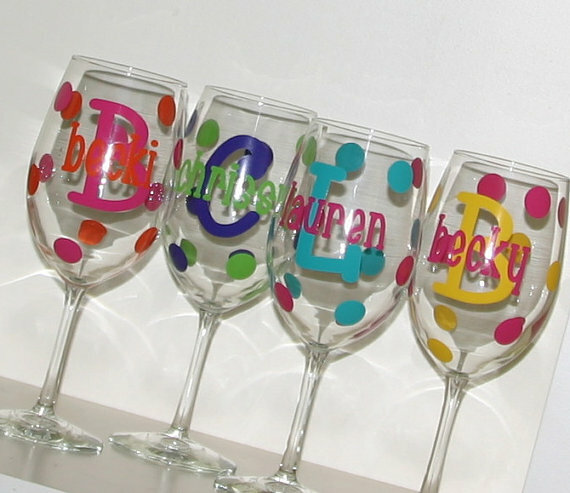 Insulated Acrylic Tumbler! 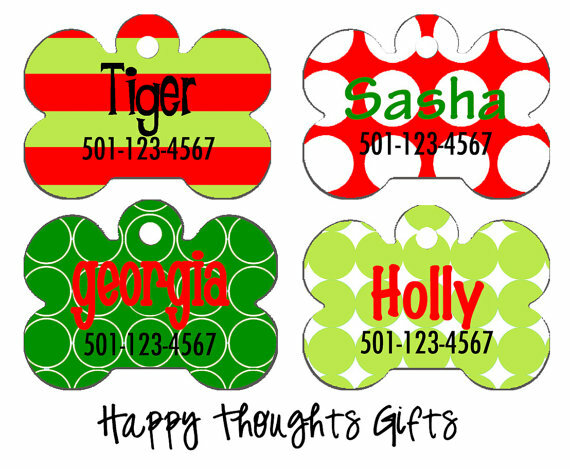 I like the personalized cookies for Santa plate. The personalized metal bucket. Perfect for u pick! I like the Personalized Melamine Tray Big Dots! 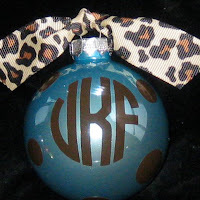 I love all these items, especially the ornaments!! I really like the dry erase board. Love the Christmas ornaments, especially in the Raspberry Matte color! I love the "cookies for santa" plate. I love the platter and matching cups. 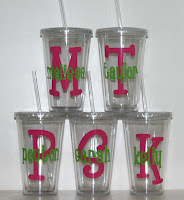 i like the personalized coffee tumblers best!!! 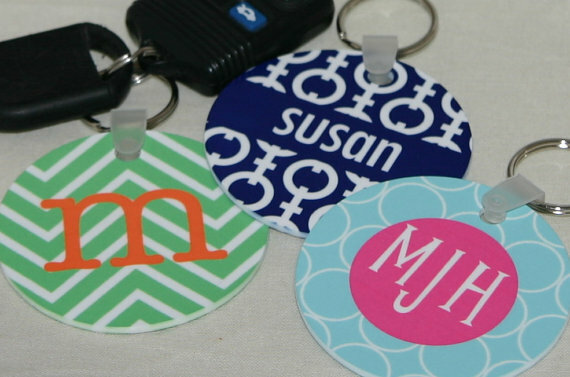 I like the personalized wine stoppers the best.